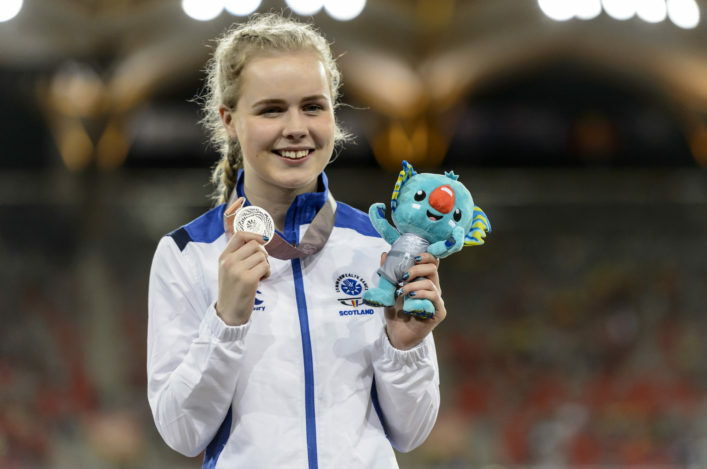 Maria Lyle landed a second athletics medal for Team Scotland as she claimed silver in the T35 100m sprint final. The 18-year-old from Dunbar held her nerve after a delayed start to the race in the Carrara Stadium – won by Australian Isis Holt. It took the medal count to two to follow on from the bronze for Mark Dry in the hammer and Lyle savoured the moment on the podium Down Under. 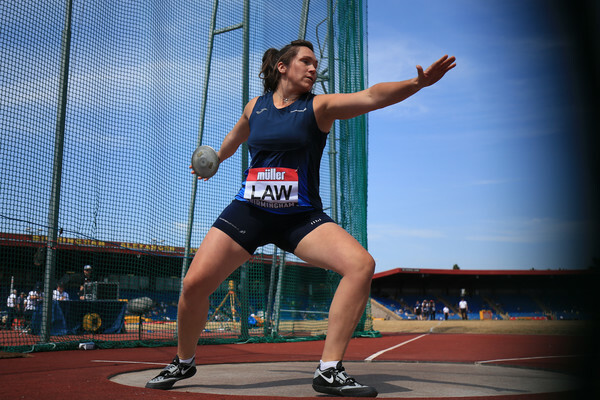 Maria already has a clutch of European, World and Paralympic medals and can now add Commonwealth to that list after a run of 15.14 in the T35 classification final over 100m. ‘It’s a silver medal for Team Scotland and I am really pleased to have played my part for the team, ‘ said modest Maria. ‘I was nervous on the start-line standing up there and then there was a bit of a delay – I don’t even know why that happened. ‘I could have run better and I don’t feel like it was anything close to my best, but it was second place at the end of the day. Many congratulations to Maria, her family and coach Jamie Bowie from all at scottishathletics. 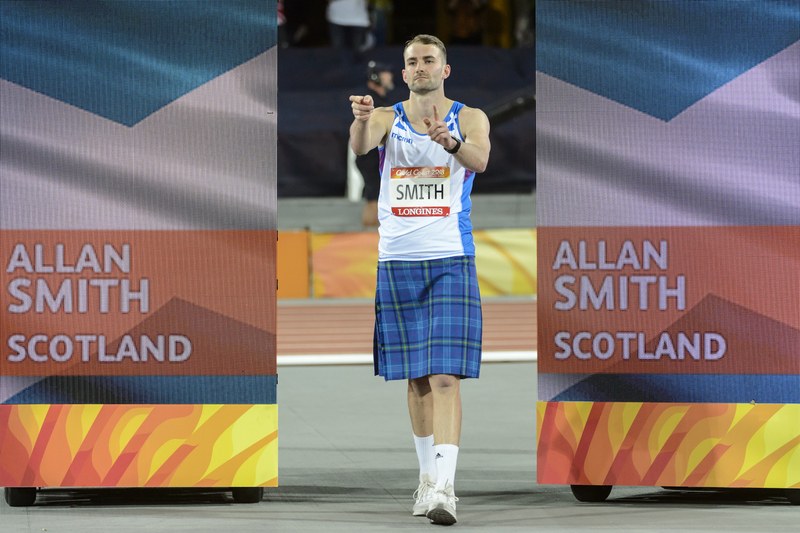 Allan Smith was close to the medals in the Men’s High Jump final before finishing in fifth place. He came up with a Season Best performance of 2.27 and then had three attempts at a lifetime best 2.30 – and went close on the first of those attempts. 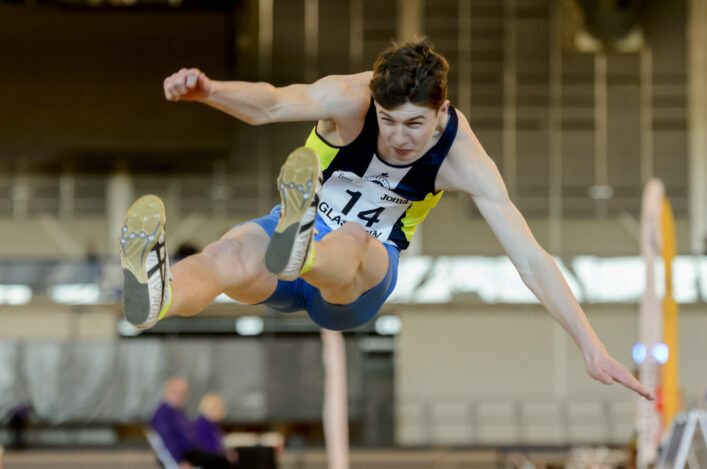 Home favourite, Australia’s Brandon Starc, won gold with 2.32mwith three athletes having cleared 2.30. It was a strong effort by Allan, who is coached by Bryan Roy, in front of an enthusiastic packed crowd at the Carrara Stadium. Allan Smith: ‘It was a great competition and I’m delighted with it, really. ‘I was one bar away from being in among the medals and 2.27 gets me a qualifying height for the European Champs in the summer (2.26 is the mark). ‘I was the best of the Brits out there on this occasion so I just need to try and take that into the summer and keep it going. ‘The atmosphere was brilliant and I loved it. There were so many Scots making themselves heard and Chris Bennett was shouting so much I believe he was told he might be asked to leave! 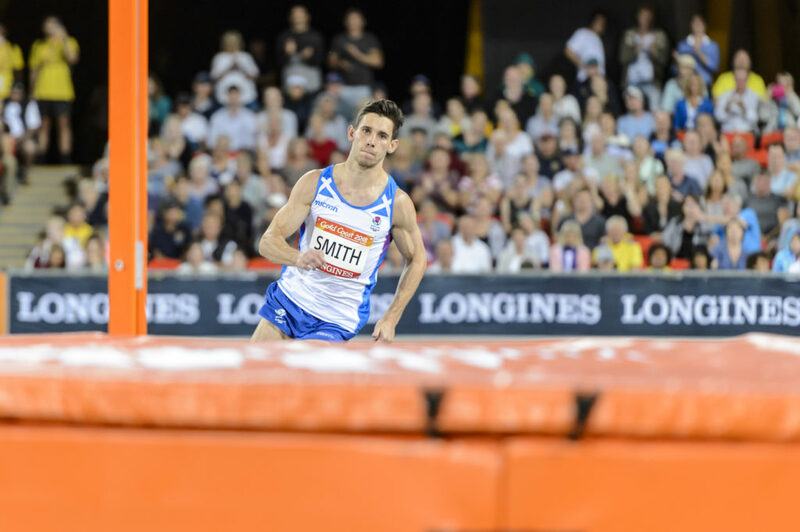 David Smith went out with the bar at 2.21 after clearing first time at 2.18 – finishing 10th. David had gone over at 2.21 in the qualifying on Monday. ‘I will try and take positives out of the two competitions,’ said David. ‘My Season Best was 2.18 before I came here and I made 2.21 on Monday in the qualifying. I just couldn’t get it tonight and I maybe just got a wee bit excited out there with the atmosphere terrific. I had cleared 2.18 first time. 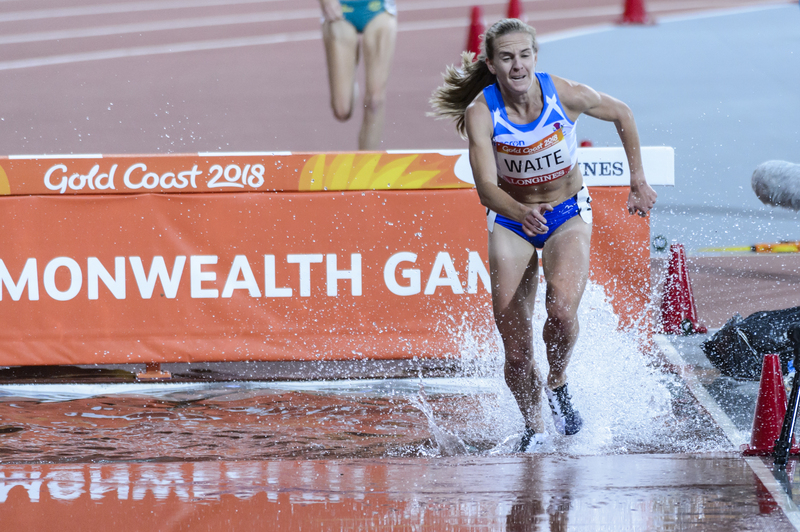 Lennie Waite competed at her third Commonwealth Games but found it a tough experience as she came home in 10th place in the Women’s 3000m steeple-chase final. The American-based athlete left the arena disconsolate. Lennie Waite: ‘That was awful, really. I’ve had an aggravated hamstring injury so didn’t do hurdles in the preparation. The first water-jump tonight was okay but the pain was bad after the second one.